I started things off with The Smiths and then looked at the solo career of Edwyn Collins. 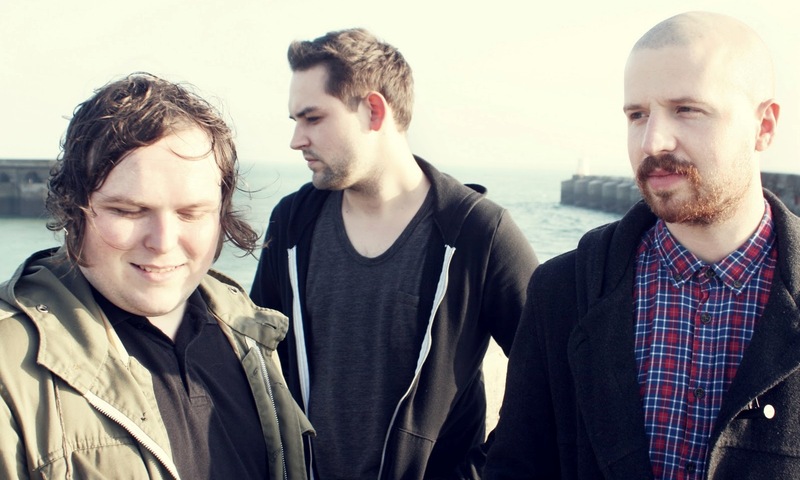 Today it’s The Twilight Sad. Once again, the inspiration was seeing from a live performance, in this instance in Richmond Park in Glasgow as part of the Last Big Weekend which saw them take to the stage at 5pm under the canvas of a tent. It was an electric performance, but then again every time I’ve seen the band perform over the past seven years has left me awestruck, whether it is the full-blown band, an acoustic stripped down version or, as on one occasion, accompanied in a fabulous gothic abbey by the Royal Scottish National Orchestra. It was the opening three songs of the 45-minute long Richmond Park set that got me thinking they would be the perfect opening to any compilation LP and therefore I only had to narrow things down by another seven songs. It was also the fact they aired a brand new song as the fourth offering in the set that got me determined to do this now as to wait for the release of what will be their fourth full-length LP this October would make it an impossible task. Despite getting the head start from the first three songs, it’s still take ages to come up with the final seclection….but the bonus has been getting to play all the songs all over again before working things out. 1. The first track of Fourteen Autumns & Fifteen Winters, the 2007 debut LP. It contains a couple of particularly incredible moments in what is an incredibly good song….the first of them at the two and a half minute mark when Andy McFarlane’s wall of noise from the guitar kicks in….played live it really does get the hairs on the back of the neck standing to attention. The second bit of true magic comes just under a minute from the end when James Graham‘s vocal fades out to be replaced by an unexpected bit of acoustic guitar accompanied by a repeated single piano note. 3. More loud and wailing guitars, pounding drums and a killer hypnotic bass line. The opening track of the second LP. The song was later given a complete remix by Errors for inclusion on the Wrong Car EP – by complete I mean the drums, bass and guitar are almost completely replaced by electronica and a dance beat. And such is the greatness of the song and the music that the remix more than holds its own. 4. The band surprised many fans with the contents of the 2012 LP No One Can Ever Know. The previously dominant guitars were replaced by keyboards and drum patterns from machines. Imagine the music of Joy Division benefitting from technological improvements over the past 30 years and you’ll get an idea of what many of the songs sounded like. I felt the imaginary compilation LP needed a little bit less intensity at this point of listening, so in comes a slightly slower and softer number. 5. A track which in some ways is eerily reminiscent of Maps by Yeah Yeah Yeahs, this is a strange and disturbing song told from the point of view of a very unhappy and disturbed teenager. It was my introduction to the band back in 2007 when I heard it played over the speakers in a Glasgow record store. And yes, there is the occasional use of the dreaded c-word which is normally a bit of a taboo, but it is spat out by James in such a way that you can have no doubt that the person being sung about is truly loathed. They say you never forget your first time and in the case of The Twilight Sad I never will. 6. Just as you might be thinking from the opening minute or so that this track from the debut LP (an edited version of which was released as a 7″ single) might be a more easy-going indie-pop listen, then the brutality and violence of the lyric and takes centre stage with boots being put in and rabbits being threatened with death. And then the final two and a half minutes deliver the sort of shoegazing noise most usually experienced via a My Bloody Valentine track. Aurally stunning…..
7. This was the most difficult part of the imaginary album to compile. I just find it near impossible to have anything follow-on to Track 6 and not sound inadequate. But I think this song from the second LP. which was also released as a 45 (and later remixed in spectacular fashion by Mogwai) does the trick. It is driven along by a constant drum and keyboard but in a minimalist way this enabling James to display that he is a very fine singer. 8. Back to the first LP again. A softer song than the others selected from that LP, this has a lyric which refers to green and blue eyes and as such recalls Temptation by New Order...not that it sounds anything like that song…just the bit about the green and blue eyes. Again, it’s a song like so many of their earlier efforts, one which builds up a great bit of momentum before slowing to a lovely climax. 10. I’ve ended with a song that splits a lot of fans. It’s the closing track from the third LP and it’s rather unlike anything else I’ve included on this imaginary compilation. It was originally made available free via the band’s website some five months before the release of the LP and it’s fair to say the electronica caught out a lot of folk who were desperate for more of the same after the first two LPs. I fell in love with it right away and I have never got bored with it. It belts along at a great pace and then just as you think it is going to fade away quietly, a change of rhythm takes it off on a different course altogether before it does conclude with a shouted single line. A perfect ending and again has the intention of making you want to get up out of your chair to turn the LP over and listen again. I love the fact that you took the time to do this. I’m heading from Boston to NYC for the FAFW show in mid October and then up to Portland, Maine to see them open their tour with the Jetpacks the next night, your playlist will keep me company. Cheers. You lucky man Mike. They will be astonishingly good in such intimate surroundings.